MyJSU Mobile helps you stay connected like never before. You'll have access to great features that will make your experience at Jacksonville State University more effective, more efficient, and more fun! • Schedule - Students--view scheduled courses in day or term view. View contact information on instructor, and connect with classmates with the course roster. 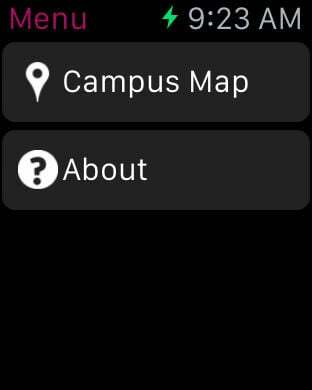 Get walking directions to your building using the built in campus map! Faculty--view courses being taught by day and term and view student roster. • Grades - Check your midterm and final grades. • Academic Profile - View program of study information including degree, major, classification, and advisor. • Financial Aid - Quick access to various financial aid information including application status, requirements, awards, and eligibility/progress information. 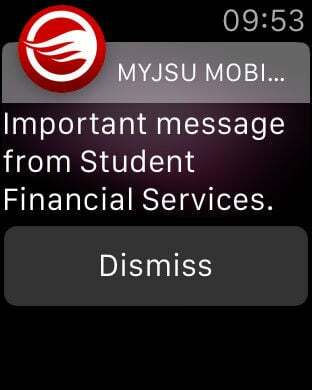 • Holds & Notifications - View any holds on your student account, plus view any other important notifications sent by JSU. Push notifications can be viewed on connected Apple Watch. • Library - Search for Books in the Houston Cole Library. • Academic Calendar - View the JSU academic calendar. • Directory - Find contact information for JSU faculty, staff and students. • Department Directory - Find location and contact information for JSU Departments and Offices. • Emergency Numbers - Quick access to phone numbers for University Police, Jacksonville Fire Department, etc. 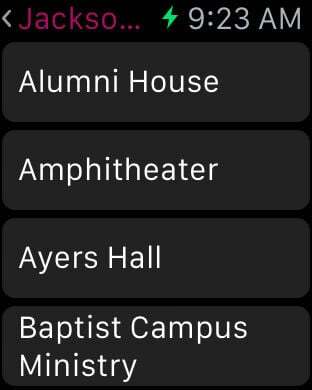 • Campus Map (supported on Apple Watch) - Detailed map of campus with building locations, driving/walking directions. • Dining Choices - View hours and menu information for campus dining. • Gamecock Express - Schedule information for the Gamecock Express transit system. • LaundryView - View washer & dryer availability in residence halls right from your mobile device! • News - Stay informed on the latest news from JSU. • Events - View upcoming events, filter by category, add to device personal calendar. • Social Media - Links to JSU's social media outlets. • Athletics - Schedules, Scores, Rosters and more on all your favorite Jacksonville State athletic teams. • GEM - Access to Gamecock Enterprise Messaging (GEM) E-Mail. • JSU Traditions - At JSU we value traditions, learn more about our different traditions. • Make a Gift - Make a gift to the JSU Foundation.